Intensives offer a wonderful opportunity to deepen practice and broaden knowledge in a variety of areas of Buddhist practice. Some Intensives are aimed at beginning practitioners; others offer more advanced study. All will support you in solidifying new habits of happiness and awareness in your life. Practitioners within the Florida Community of Mindfulness are laypersons who live in the world, and as such, have the usual responsibilities of work, family, and community involvements that limit capacity to attend extended retreats away from home. Thus, periods of Intensive practice provide many of our members with opportunities they desire to deepen meditation practice, and the quality of their lives without leaving home. FCM Intensives are specially designed programs of study and practice that typically begin in October, February, and July and last for two to six months. Each Intensive is designed to support one of FCM's three Paths of Practice (Mindful Living, Dharma or Wisdom) and has an appropriate theme. Examples include Establishing The Four Foundations of Mindfulness; Deconstructing the Myth of Self; Developing Compassion in Daily Life; The Way of the Bodhisattva; and Mindfulness Practices for Emotional Healing. 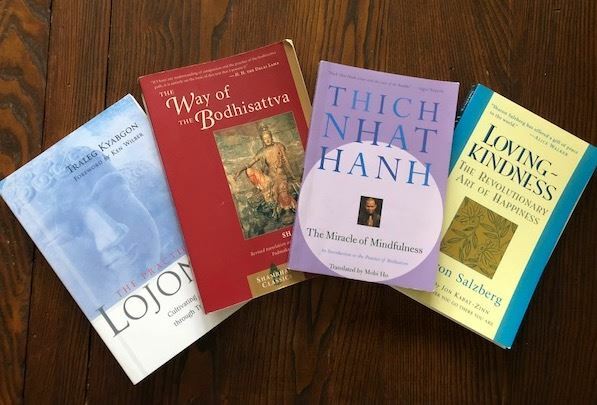 Each Intensive includes a commitment to study of prescribed texts, participation in bi-weekly Dharma talks and mentorship groups, daily meditation and prescribed practices. Intensives are led by our teacher Fred or experienced senior students of FCM. Keeping these commitments is essential if we are to truly benefit and transform from our participation in the Intensives. Intensives are offered to FCM members only (please visit our membership page to learn how to become an FCM member). Members can participate from any location since all Dharma talks and group mentoring meetings are conducted via zoom. Some Intensives may also involve optional in-person or phone peer group meetings. Following is a calendar of upcoming Intensives.